This property is 1 minute walk from the beach. 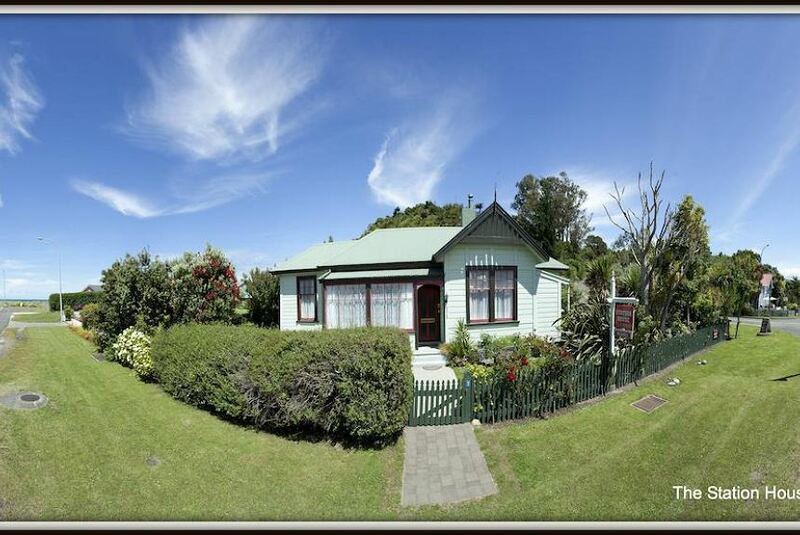 Located just 2 minutes’ walk from the beach in the quiet Golden Bay village of Collingwood, The Station House Motel offers comfortable accommodation with free Wi-Fi and a courtyard area with BBQ facilities. The motel prides itself on being environmentally friendly and runs entirely on solar panels. Each room at The Station House includes electric blankets, basic cooking facilities, a modern en suite bathroom, and a TV with DVD player. Continental breakfast is available for guests each morning at an additional charge. The outdoor courtyard features a dining table and brick fireplace. Luggage storage and guest laundry facilities are available. Free off-street car parking is provided. Situated in a historic 19th-century building, The Station House Motel has many beautiful walking tracks on its doorstep. The hosts can assist with arranging tours to Farewell Spit, which depart from opposite the motel.